If you pay attention to science 'buzz', you've probably heard of CRISPR technology. 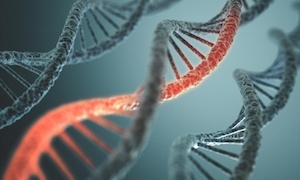 This technology allows scientists to precisely modify DNA sequences. First adapted for genome editing in 2013, use of CRISPR systems has exploded in research labs, allowing for fast, relatively simple and precise editing of cells and animals. It’s being developed to treat single gene disorders such as Duchenne muscular dystrophy, sickle cell anemia and cystic fibrosis, and infectious disease such as HIV and hemophilia B. It is also at the center of much debate, as it has the potential to ‘cure’ inherited diseases if applied to human embryos. Application to PWS in a therapeutic setting is a long way off, but FPWR-funded studies are currently exploring the possibility (see Rob Nicholls' 2015-funded project, for example). Now, two recent papers (one in the journal Cell, one in the journal Science) have ignited another round of CRISPR enthusiasm in the science world. These new papers adapt the CRISPR system to modify the RNA of organism rather than the DNA. This opens the door for a whole new set of strategies to treat diseases that alter the expression of genes. Such approaches might not run into some of the tricky ethical and safety concerns of the more permanent, DNA-based CRISPR strategy. Therapeutic applications for this approach will take a (little) while to develop, but certainly laboratory experiments using these systems will take off quickly, including in the PWS world. Look for an explosion of uses for CRISPR-RNA editing in the coming weeks, months and years. Learn more in the article 'CRISPR gene-editing system unleashed on RNA' published in Nature.